A lot of people nowadays are denying the Holocaust as a hoax and overblown Jewish lie. 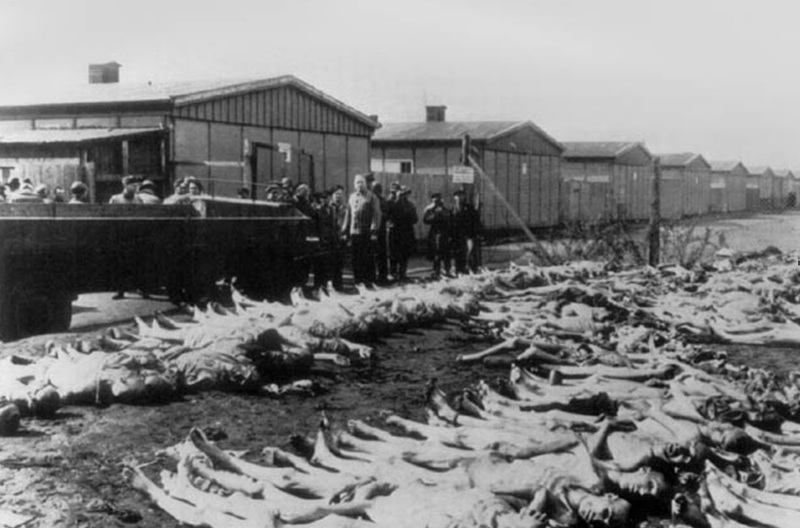 I read somewhere that Harry Truman (or Eisenhower) thought that people would not believe the Holocaust happened and that he had troops take multiple pictures of the death camps as proof that such atrocities happened. Neo Nazis, of course, don't believe it happened and always scapegoat Jews for making up the events of the Holocaust, but other people who are students or normal folks who learned much of the Holocaust somehow start to disbelieve it happened and start justifying and defending the Nazis concerning the Camps and brutality against the Jews and such. Why do so many people refuse to believe what is in front of them and deny the undeniable evidence that clearly show that Jews were being persecuted? One of my uncles was an intelligence officer assigned to evaluate and document the camps. He also took pictures for his private albums. He retired after 30 years as a colonel, and would offer to show his WW II souvenirs to visitors. I once (~1990) made the mistake of looking through his photo albums, and had nightmares for months. The pictures of the living were very disturbing, but so were the pits filled with the dead. As they say, seeing is believing. A few years later I visited Dachau; it gave me the creeps. It's really hard to believe that people could do the things that were done. Dachau concentration camp; if too graphic, feel free to remove. Not the answer you're looking for? Browse other questions tagged nazi-germany jews holocaust or ask your own question. Does Hitler's “Mein Kampf” contain hints that he wanted to exterminate Jews on the scale that actually happened?